Ineza Roussille, a granddaughter of Malaysia’s Prime Minister Dr. Tun Mahathir Mohammad, together with a team, has made a documentary telling the story of last year’s General Elections (GE14), one that “promises to be a story of power, reconciliation, and hope,” according to the film’s website. Rousille and Datin Dian Lee produced and directed the film, M for Malaysia, and were joined by with Datin Paduka Marina Mahathir, the movie’s executive producer, Ruby Yang, its creative producer, Sebastian Ng, the editor, with music composed by Rendra Zawawi. It touches on the 1MDB scandal, what it terms as Najib’s “kleptocracy,” and the growing discontent of the Malaysian people with the former BN government and their clamor for change, with the country’s opposition groups uniting under 93-year-old Dr. Mahathir. “On May 9, 2018, Malaysia voted out a government that had been ruling the country since independence in 1957. Tun Dr. Mahathir Mohammad led the opposition to an unlikely victory against a corrupt government and became the oldest democratically elected Prime Minister in history. Roussille had the opportunity to follow Mahathir during the campaign period and said she was deeply moved by the people’s support for her grandfather. She said, “Being his granddaughter, I will have an inherent bias in telling this story. However, I hope we’ve been objective enough that all Malaysians can be proud watching this documentary and the new Malaysian government will remember that power is ultimately with the people. Now I can say with confidence that I’m so glad I joined the campaign and got to experience such a historical moment with my family. To be able to see my grandfather working day in and day out, how he carried himself, how concerned he was with everything that was happening, and how he was determined to make it all right again, I couldn’t help but admire that. 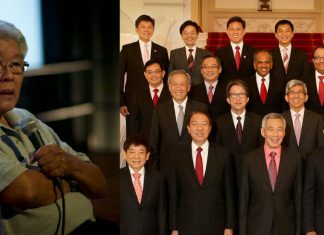 As co-director and producer, Lee said she hoped the documentary would remind her countrymen of how much power they have.